They ones you'll know by. How many Sikhs around the world realise how our children are suffering, being bullied in schools in the States, especially in New Jersey and New York. Now this young lady - and by her conduct she is a lady - has had her hair cut, unknown to her, while she innocently sat at her desk in school. Her brother has also been teased and mistreated at school. I salute these two especially, Gurprit Kaur and Talwinder Singh, as they have courageously come forward publicly with their names and photographs. They are setting a wonderful example for the rest of us to follow. When these incidents happen, we need to stand up proudly and proclaim 'I'm mad as hell and I'm not going to takes this any more!' And we need to stand together! I am very glad that Gurprit Kaur Ji got her cut hairs back. She can treat them with the respect that they deserve. When my mother, in her insanity, cut my hairs when I was seven, every hair was preserved in a beautiful rosewood box, where it remains to this day, to be cremated with me eventually. I can recall only one person who ever seriously harassed me, Billy the Bully. When none of the adults would handle the situation, I broke his arm. He never bothered me again. Of course, having seven older brothers helped, too. Nobody wanted to mess with The Magnificent Seven! Note: I do not recommend violence, but as Sikhs, we know that sometimes, when we have exhausted every other means, it may become necessary. If you live or can get to the New York area for this march to support our children, please try to go! 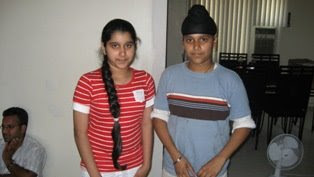 New York, New York) June 21, 2008 - The Sikh Coalition is dismayed to report that a twelve-year-old Sikh girl's hair was maliciously cut by another student. On June 9, Gurprit Kaur, a student at Public School 219 in Flushing, Queens, discovered that another student had cut off a portion of her braided hair and discarded it. 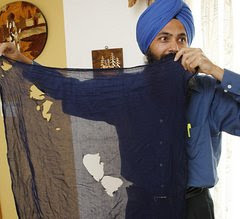 The attack on Gurprit occurred only five days after Jagmohan Singh Premi, was punched in the face when a student intentionally attempted to remove his patka (smaller turban) at Richmond Hill High School, in Richmond Hill, Queens. It also occured a just a year after Harpal Singh;s hair was forcibly cut by another student in a city school. Sikh children simply continue to suffer in New York City. This past April, the Sikh Coalition released a civil rights report that found that more than 60% of the over 400 New York City Sikh public school students the Coalition surveyed suffered bias-based harassment or violence in city schools. 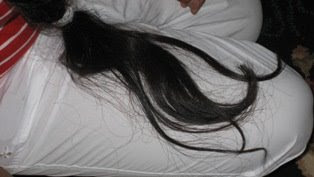 On Monday, June 9, 2008 at approximately 11:00 am while in English class, Gurprit's classmate told her that a portion of her braided hair had been cut off. Gurprit did not notice while her hair was being cut behind her back. Given the deep spiritual significance of her hair, Gurprit was extremely upset. She immediately conveyed her dismay to teachers. Gurprit's school conducted an investigation and within hours advised her that a classmate (a juvenile who shall remain nameless) had admitted to cutting her hair during a class they share together and where they sit next to each other. The school returned Gurprit's hair to her wadded in a tissue. The perpetrator was suspended the same day. Sadly, the perpetrator specifically harassed Gurprit because of her and her brother, Talwinder because of their Sikh faith. 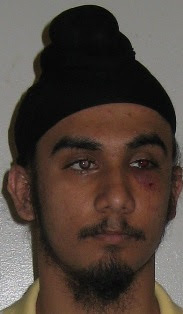 The perpetrator made fun of Talwinder's jurdha and patka (smaller turban), saying "Your brother has a ball on his head. I am going to rip it off and throw it at him." Once when Gurprit came to school with her hair in a bun, the perpetrator said, "Now you have a bun on your head just like your brother." The perpetrator also referred to Talwinder derisively as a "Hindu" in front of Gurprit. The perpetrator knew that cutting hair was against Gurprit's religion. Several months ago, the perpetrator specifically asked Gurprit why she did not cut her hair. Gurprit responded because her religion does not allow it. Gurprit's brother Talwinder, a sixth grade student, is routinely subject to ridicule because of his Sikh articles of faith. Other sixth-graders call him "potatohead" and "turbanator." Students would say that Talwinder has a bomb on his head, and to get away from him because he is going to blow everyone up. The harassment Talwinder has suffered this year is nothing new. When Talwinder was in the fifth grade, a student tried to touch and remove his patka. When he was in the fourth grade, the school suspended a student for harassing Talwinder about his turban and hair. When asked by the Coalition's staff whether he liked school, Talwinder responded, "I like school, but not the kids." The Sikh Coalition along with Gurprit Kaur and Jagmohan Singh Premi's parents are organizing a march through the streets of Richmond Hill, Queens on Monday, June 30th. The march will end with a rally at Richmond Hill High School, the school where Jagmohan Singh Premi suffered a bias-based assault this month. The purpose of the march is to push the New York Department of Education to end bias-based harassment of Sikh children in city schools. It is about time that the Department recognize that Sikh children in particular are vulnerable to bias-based harassment and violence in school. The Sikh Coalition calls on all Sikhs to march with us on Monday, June 30th or sign the community petition to Schools Chancellor Joel Klein asking him to take action to protect Sikh children from bias-based harassment in city school. Sikh Coalition staff was on site at Gurprit Kaur's home and at her school within 24 hours of receiving a call from her father requesting assistance. School officials have since met with the Coalition to discuss diversity educational programs to be implemented at the beginning of the new school year in the Fall. The Department has not been clear on whether these programs will include specific education for teachers and students on Sikhs and Sikh concerns in school. The Coalition calls on the Department to implement a more Sikh-specific program since Sikh children are uniquely vulnerable to bias-based harassment. As always, the Coalition continues encourages all Sikhs to fearlessly practice their faith and stand up for their rights. We ask that you sign our petition and attend our March for Sikh children. Kids are so IGNORANT! Poor kids. Good for them for standing up!